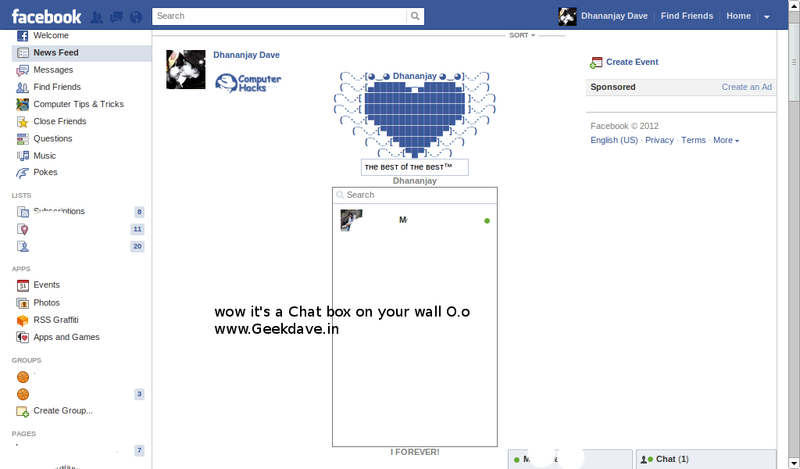 Home » face book trick » How to post facebook chat box on your wall ! Sounds funny huh ? wait it's true ! yes guys i'm back with one of the best trick .. you can post the whole chat box on you wall.. ! it's not a scam it's an art of facebook fbml . anyways.. lets start step by step tut. to post the whole chat box on your wall..
so .. know.. after that you will need an app token to perform this . and taken for example as mentioned above .